Oman Stick Flag - 4x6"
The modern Oman flag was adopted only a few short decades ago, but it is based on an older Oman flag that was adopted in 1970. Those modern Oman flags are the inheritors of a tradition of simpler flag designs that stretches back for a far longer period of time. The modern flag of Oman has a relatively complicated design that includes references to both the geography and the traditional culture of Oman, which makes the current flag into an excellent representation of the nation and its people. The flag of Oman is made up of three horizontal stripes of white, red, and green that stretch out from a vertical stripe of red that is placed along the flag's hoist. 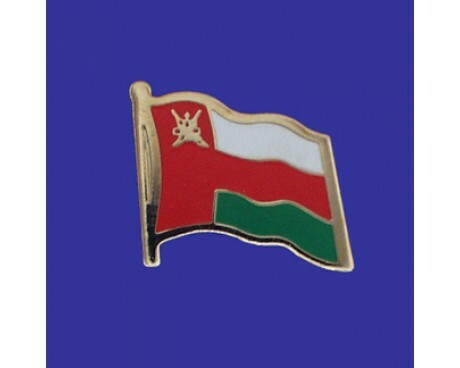 The national symbol of Oman is represented in white inside the flag's canton. The symbol consists of two swords that are crossed over a curved dagger. The emblem is a symbol of the nation itself as well as the Albusaidi dynasty. The flag's colors also have symbolic value. 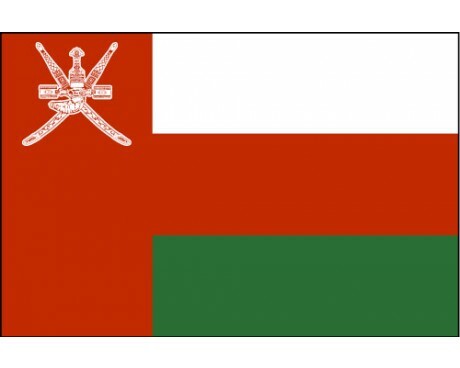 The white portions of the flag represent peace and the nation's religious leaders, while the red sections stand for the traditional culture of the Gulf region and the green stripe represents the nation's mountains. The people of the Gulf have represented themselves with red flags for centuries, and Oman is no exception to that trend. 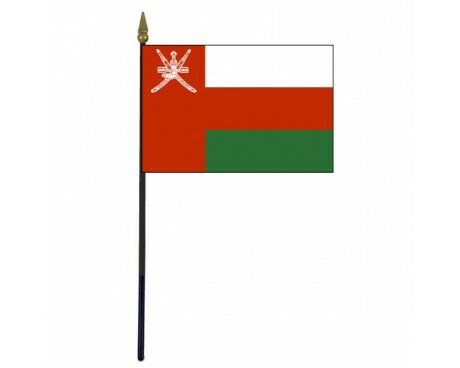 The earliest flag of Oman was a solid red flag with no emblem that can be traced back at least as far as the Sultanate of Muscat. That flag represented the nation of Oman until 1970, at which point the nation's sultan decided that his nation should adopt new and more complex flags in order to better represent that country's culture and to make the design more distinctive. The Sultan's original design was almost identical to that of modern Oman flags. The white and green stripes were thicker than those of the current design and the horizontal stripe of red was thinner in order to compensate, but it was otherwise the same. The nation adopted the modern flag in 1995 and has used it ever since.